At Kolbe, energy efficiency is built into our windows and doors as standard. In fact, we offer more than 20,000 products that meet or exceed ENERGY STAR® qualifications in both the United States and Canada. Kolbe uses the latest innovations in Low-E technologies in various combinations, so we are able to offer glass that is best suited to any climate – from sea to shining sea. These elements provide great thermal performance as well as excellent UV protection. We also offer Low-E glass coatings that help minimize solar heat gain in very warm climates. For even better energy performance, numerous products are available with triple pane glass. Steps from the Atlantic Ocean, Gap Cove House withstands coastal conditions, winter storms and summer heat with uncompromising strength and beauty. 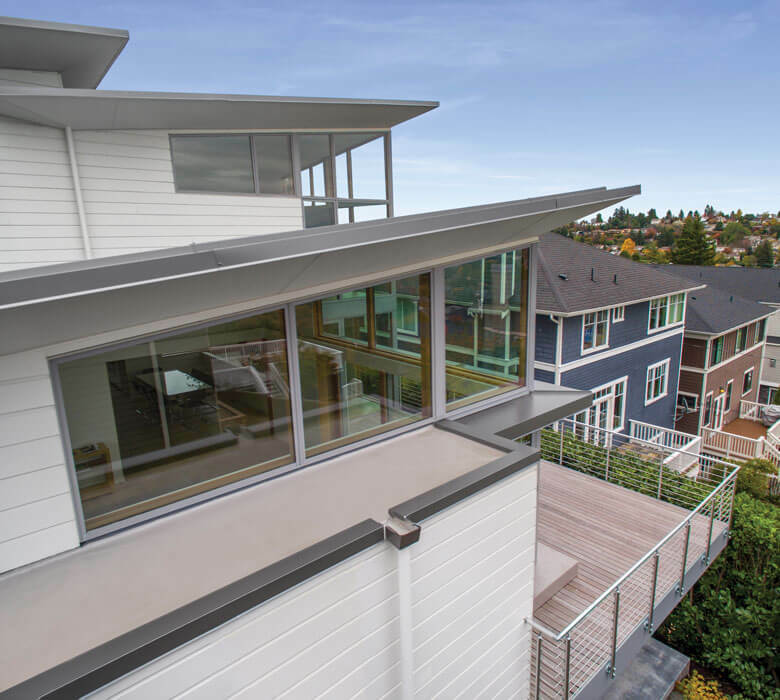 The contemporary design showcases large energy efficient VistaLuxe® Collection windows to capture the shoreline views, while supporting the goals for net-zero energy, durability and low maintenance. 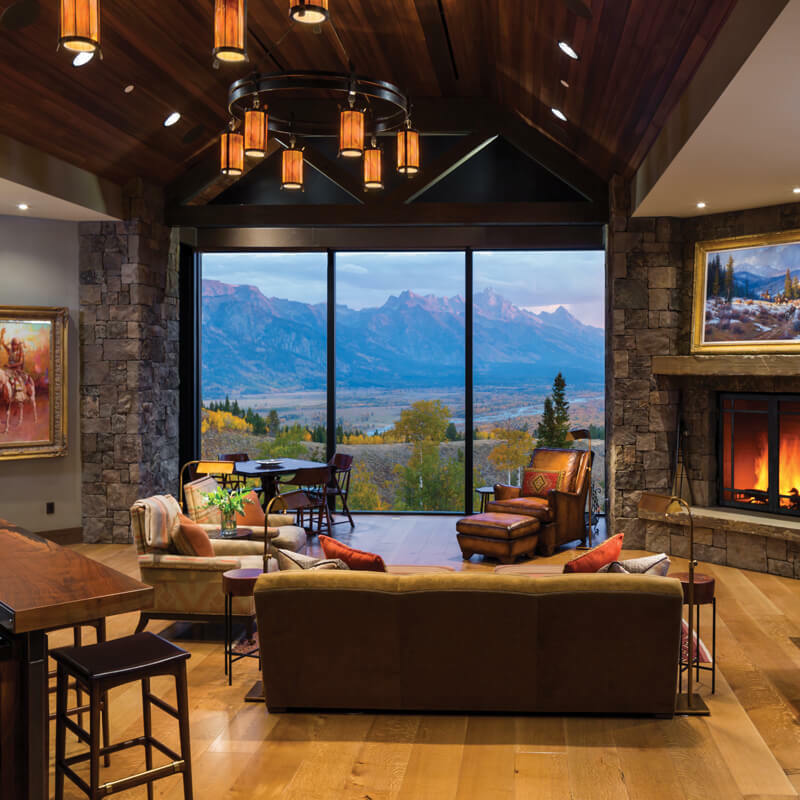 These VistaLuxe® Collection direct sets are field-finished to look like steel, but are far more energy efficient, to meet the strict requirements of Jackson Hole, Wyoming. Seattle has one of the strictest energy codes in the U.S. So, while the VistaLuxe® Collection Accent Style direct set and geometric windows embrace light from all directions, they also meet a U-value of 0.30. Most of Kolbe's product meet ENERGY STAR certification. Several have met the most rigorous standards set by ENERGY STAR. For this reason, they have been designated as among ENERGY STAR's Most Efficient for 2019. To determine which meet ENERGY STAR qualifications, please use the search feature below. 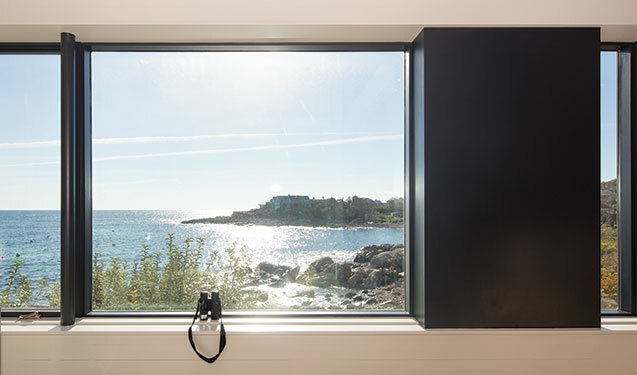 Kolbe also offers a wide range of VistaLuxe® Collection and Ultra Series windows and doors that have been verified by the Passive House Institute US (PHIUS). Our range of certified products means that American-made windows and doors are available from one manufacturer. Finally, for windows and doors to provide optimal energy efficiency, they must be flashed, caulked and sealed properly at the time of installation. All of our products are shipped with detailed installation instructions, which emphasize the importance of these final steps. Once properly installed, the energy efficient technology built into Kolbe products will further ensure your design project provides all the benefits of a healthy and comfortable living or working environment. Kolbe has windows and doors that can meet the strict California Title 24 Building Energy Efficiency Standards. Contact us or talk to your dealer about our products with glass options that help meet these stringent energy efficiency requirements.